Wrap it up! Avoid tangles with the Fast Wrap that is easy to load, easy to measure and easy to cut. The nonstick feet hold firm while just the right amount of film is dispensed. 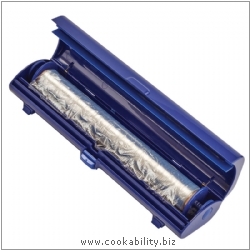 Works with standard sizes of aluminum foil and plastic wrap.